At the Art of Design ’Key Party’, design sponsors (manufacturers) put their keys into a bowl and at the end of the party, the design teams blindly selected a key to determine who they are working with in the Chair Design Competition. It’s Woodstock at the Artisan! Timothy Leary preached ‘Turn On, Tune In, Drop Out’ at Harvard. The Beatles shared the decade with Bob Dylan, Pink Floyd, the Beach Boys and The Who. And everyone became a Hari Krishna. Dress your best flower child, the moon is in the seventh house! 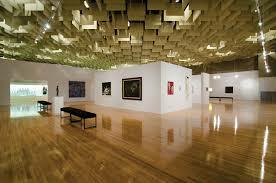 The spectacular Barrick Museum at UNLV will host our Competition this year. Awards for design teams, independents and student teams will be selected by our celebrity judges panel, the gallery itself and all the attendees. Dress to impress and come see the fabulous art our hospitality community creates this year. Check out the pictures from our Key Parties!